by Brenda Grantland Attorney, Mill Valley, California, U.S.A. There is a very good reason not to invest in real estate in the United States today: Asset Forfeiture! Forfeiture is very similar to eminent domain, but when your property is confiscated under the forfeiture laws, they don’t have to pay you for it. Asset forfeiture* allows the government to confiscate private property without paying for it, if the property was allegedly purchased with proceeds of crime, or used to “facilitate” a crime. Under drug forfeiture laws, land on which a drug transaction occurs can be confiscated because it “facilitated” the transaction. Cars used to drive to the scene of a transaction are said to “facilitate” the transaction. The Justice Department has gone so far as to argue that depositing $1 in tainted money in your bank account allows them to forfeit the entire account! 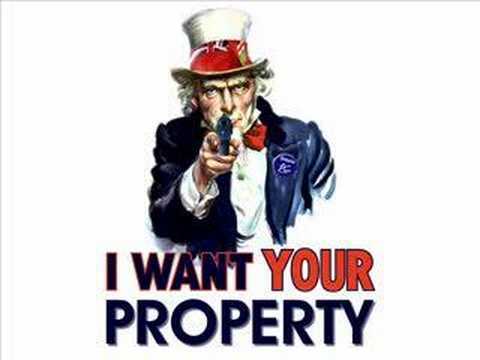 Property can be confiscated from innocent people for the crimes of others. Even if you are totally innocent, you have to go through the whole process, and prove at trial that you didn’t know of or consent to the illegal use of your property before you can get it back. Forfeiture procedures allow the government to sieze property without a hearing, and hold onto it until the case is over. Often the police seize everything of value you own, so that you don’t have any money to hire a lawyer to fight your case. There is no right to court appointed counsel in forfeiture cases. In federal law, they make you pay the police 10% of the value of your property in order to have any right to a trial at all! Even after you pay the cost bond, you can still be denied the right to trial if the judge grants “summary judgement” for the government. This can happen if the judge decides there are no facts to dispute, or that you don’t have enough “credible” evidence to win at trial. At trial — if you get one — the property is presumed guilty. The burden of proof is on you to prove your property should not be forfeited. The courts even let the government use hearsay to prove their case — but they won’t let you use hearsay to defend yourself. Some state forfeiture statutes have even taken away the right to a jury trial in all forfeiture cases. Article III, Section 3, Paragraph 2: “The Congress shall have power to declare the punishment of treason, but no attainder of treason shall work corruption of blood, or forfeiture except during the life of the person attainted.” “Attainder” is an ancient English concept that, upon conviction, all the felon’s or traitor’s estate is forfeited. “Corruption of blood” means the “attainted” person could not inherit property nor could the person’s heirs inherit property from them. Thus this paragraph means that treason, considered the most heinous of crimes by our Founding Fathers, could not be punished by a forfeiture that cuts off the inheritance rights of the traitor’s heirs. But do these provisions of the Constitution prevent your property from being seized by police? Not these days. For the past twenty years or so, constitutional rights have been increasingly eroded in forfeiture cases. It was not until December of 1992 that the U.S. Supreme Court recognized any significant constitutional protections in this area of law. As I will demonstrate in this book, even the four back-to-back victories in the Supreme Court in 1992 and 1993 are not enough to protect your real estate from confiscation. The prudent investor cannot ignore the threat of these laws to the safety of his investments. It is often said that “ignorance of the law is no excuse.” That is indeed true in forfeiture cases, as many an unwitting property owner has learned after losing his property because of some obscure regulation he didn’t know about. This book will arm you with the knowledge of the law you need to avoid most of the dangers of real property confiscation in the U.S. today. But just be aware that the laws are rapidly changing. With new forfeiture statutes being introduced in the legislatures by police lobbyists every day, real estate investors are wise to stay on top of the forfeiture laws. This book will get you up to speed for now, but you’ll need to keep current. Appendix D contains a list of publications that regularly report changes in forfeiture laws and confiscation practices. If you have money invested in U.S. real estate, I’d suggest you subscribe to some of these publications. In this book I use the terms “confiscation” and “forfeiture” interchangeably. “Forfeiture” is the term that is now used in the courts and legislatures to refer to these laws. but during the American Civil War, the law was called the Confiscation Act. Technically, “forfeiture” is the correct legal term for the legal process that the government has to go through to get title to confiscated property. © 1993 The Institute for The Preservation of Wealth, Inc.